The list of most haunted places in the U.S. includes historical sites, battlefields, caves, mansions, and modest homes. All are open to the public, and some offer overnight accommodations, tours, special events, and guided investigations. Check out some of America's scariest spots for paranormal activity. Over ten thousand men died in the battle of Gettysburg. As America's most haunted battlefield, it is popular on numerous paranormal television shows, including Ghost Adventures. Road Trippers calls Gettysburg the most haunted location in the country. 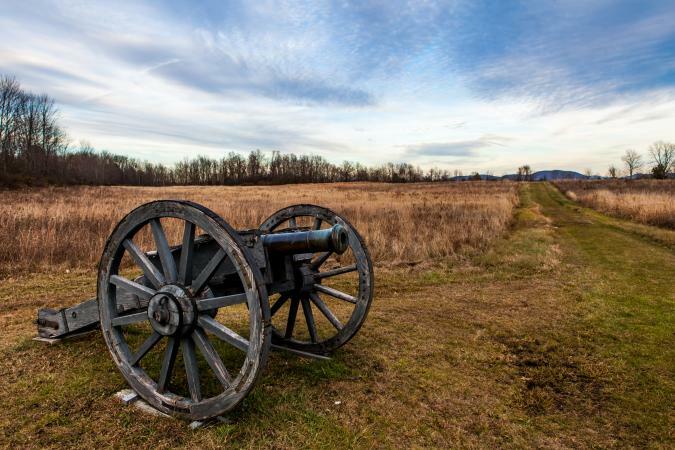 Located in Pennsylvania, the battlefield is now a national historical site. Tourists report astonishing ghostly encounters. Many believe they met Civil War re-enactors, only to find out later that no such groups were at the park. 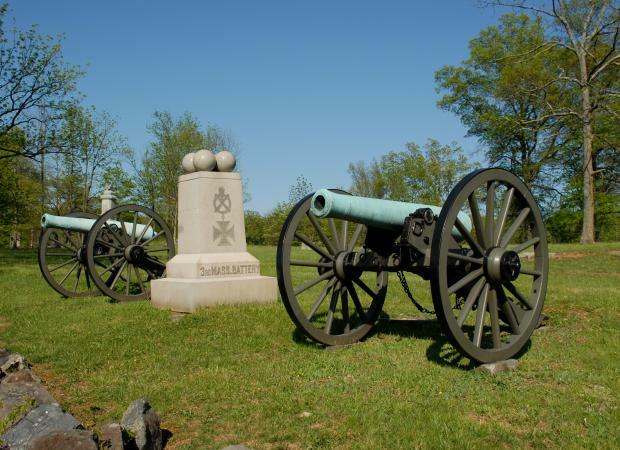 For visitors, the Gettysburg website includes general park information, and you can enjoy nighttime ghost tours of the battlefields. Gettysburg National Military Park is located at 1195 Baltimore Pike in Gettysburg. The Bell Witch is one of the oldest unexplained hauntings in US history, and even CBS News lists it as one of the most haunted places in America. Between 1817 and 1821, the Bell family of Adams, Tennessee was troubled by a poltergeist that pinched the children, laughed, sang, and made fruit appear out of thin air. The witch was sometimes said to be a neighbor who hated John Bell, the family patriarch. She swore to murder him and by some accounts, she succeeded. Others believe the witch was a poltergeist that never had human form. The Bell Witch promised to return to the Bell's descendants in 1935, although it is unclear whether she did. There are tours of the Bell Witch cave on John Bell's old property, with nighttime and daytime visits available. The cave is located at 430 Keysburg Road in Adams. 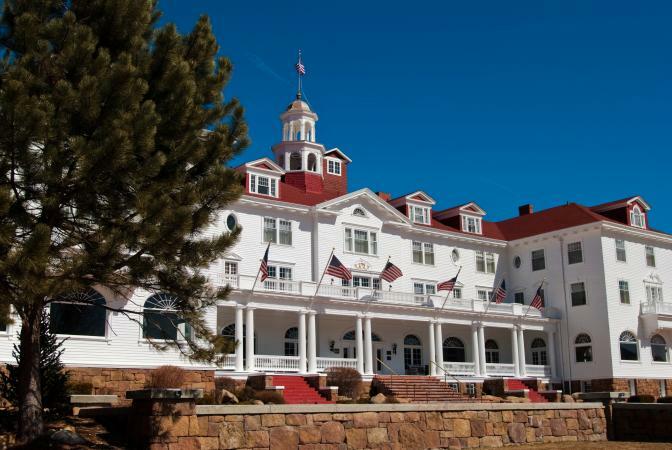 A luxury destination 7,500 feet up in the Rockies and over a century old, the Stanley Hotel is a popular haunted destination, in large part due to Stephen King's classic horror novel, The Shining. King and his wife stayed at the haunted hotel at the end of one season, and nightmares caused the writer to develop the story. Today, National Geographic considers it a top haunted US location. The hotel was founded by F.O. and Flora Stanley, husband and wife, who may still be found around the grand rooms. Visitors and staff hear Flora playing the piano, and the ghosts are apparently much more peaceful than those in King's imagination. The Atlantic Paranormal Society caught amazing evidence during two episodes of Ghost Hunters, and Ghost Adventures had its fair share of encounters. Staff and guests report everything from apparitions of children to objects moving by themselves. In addition to magnificent views and lovely rooms, the hotel offers night tours for visitors. Spend the night in this scary American haunt - if you dare. The hotel is located at 333 E Wonderview Avenue in Estes Park. Waverly Hills Sanitorium turns up on many top haunted lists and television shows, including ABC/FOX Family Channel's Scariest Places on Earth, and the British show, Most Haunted. The building opened to tuberculosis patients in 1910 and through the years, it served as a home for the elderly and the severely disabled, a concert venue, and now, and haunted site with tours. As may happen at any place associated over the long term with death and disease, not all the original Waverly inhabitants rest in peace. Prepare to experience shadow people, ghostly nurses, and disembodied voices singing and crying. There are tours, which range from a few hours to overnight, and the site is eerie even in daylight. The sanatorium is located at 4400 Paralee Drive in Louisville. Volumes could be written about the haunted prison, Eastern State Penitentiary, which opened in 1829 and attempted to rehabilitate the prisoners using strict work schedules, enforced silence, and hoods to block out any views of the outdoors. Outlaws like Willie Sutton and Al Capone graced Eastern State's cells but as the building became overcrowded and outdated, violence often ensued. Today, the prison is considered a hotbed of hauntings, and many paranormal groups have investigated. It has been included in numerous television documentaries including Ghost Adventures, FEAR!, and Weird USA. Eastern State has apparitions, cold spots, EVPs, and other mysterious phenomena. Tours are available daily, but an online virtual reality tour is available for those who can't get there in person. The prison is located at 2027 Fairmount Avenue in Philadelphia. The St. Augustine Lighthouse and Museum has been a haunted haven for years and featured on television, including on the Syfy network. There have been buildings near the sea since the 1600s in St. Augustine, as well as a lighthouse on the premises since 1821. The current lighthouse was opened in 1874, and visitors have reported smelling cigar smoke, finding locked doors opened, and seeing chairs move. Ghost stories about the lighthouse have intrigued visitors for decades. Two of the most touching ghosts are the daughters of Hezekiah Pity, who was working on the building in the 1880s or so. According to the story, Eliza and Mary were playing on a small rail car when it broke loose and rolled into the bay where the girls drowned. 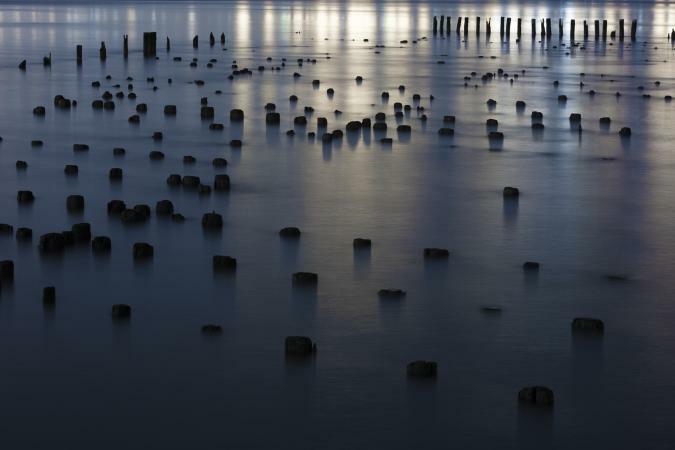 Visitors have reported hearing their laughter or seeing them walking along the shore. You can take a "Dark of the Moon" ghost tour of the lighthouse, but book early. 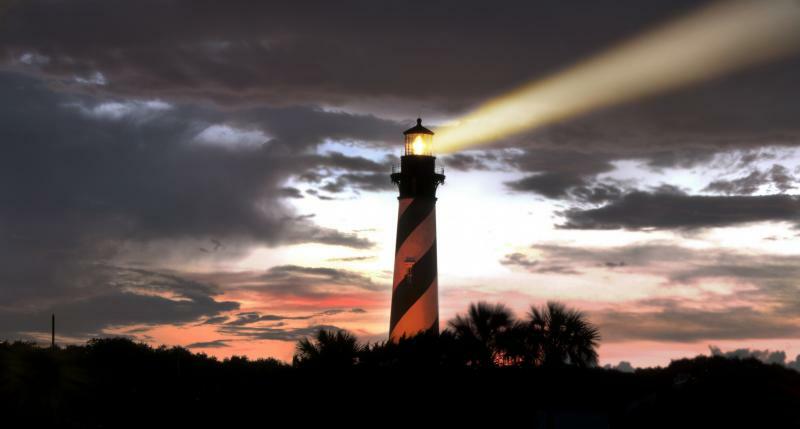 The lighthouse is located at 81 Lighthouse Avenue in St. Augustine. Bucolic, well-heeled Long Island seems distant from the paranormal world, but the area known as West Hills has boasted amazing paranormal activity for over a century. Mount Misery Road, so-named by settlers cursing its difficult passage, and the area near Sweet Hollow Road have a rich history of paranormal phenomena. Weird US lists Mount Misery Road and the nearby Sweet Hollow Road as two roads with truly haunted histories. Ghostly faces are seen in the trunks of trees, strange lights play over the woods, and misty apparitions appear to drivers near the Northern State Parkway. Time Magazine has listed the Queen Mary as one of the most haunted locations in the US, and she lives up to her reputation. This haunted ocean liner contains numerous ghosts, including ghostly children playing by the pool where they were said to have drowned, and the spirit of a sailor crushed to death by a door - or was it murder? Psychics have reported many spirits on the ship, and the Queen Mary offers ghost hunters a unique experience aboard a floating hotel where evening tours guide visitors throughout the ship in search of a haunted encounter. 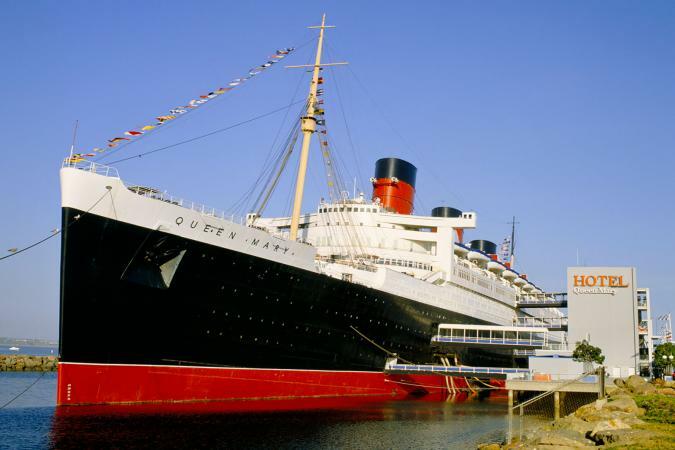 You'll find the Queen Mary at 1126 Queens Highway in Long Beach. It may not be the easiest place to book a tour, but it is possible with planning and time. The White House has been home to US Presidents for nearly two centuries, and it has been reported to have been haunted by several ghosts. It's also one of Washington DC's most notorious haunts. Listed among one of the most haunted homes in the US, the White House is still the home to the Abraham Lincoln, Harry S Truman, and others. Lincoln's ghost is quite active: he appeared to Winston Churchill one night near the fireside and knocked on the door of Queen Wilhelmina of the Netherlands when she was visiting the US (the Queen fainted at the sight.) There are no ghost hunts here, but experiencing this house is a must do for paranormal enthusiasts. 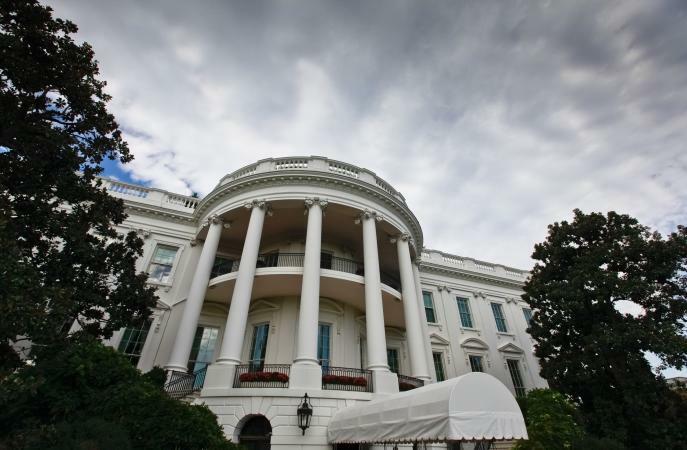 You probably already know this, but the White House is located at 1600 Pennsylvania Avenue NW in Washington, DC. Over one hundred documented reports of ghost sightings make Bachelor's Grove Cemetery one of the most haunted cemeteries in the United States, and Prairie Ghosts lists it as one of America's most scary haunted places. The forested area near the suburb of Midlothian, outside of Chicago contains a small cemetery where many people witness glowing balls of light hovering over the area. Chicago Hauntings offers private ghost tours that may include the cemetery, as well as other famous Chicago haunts. The cemetery is located at 5900 W Midlothian Turnpike in Midlothian. It's hard to stick to just ten! Here are more of the most terrifying haunted places in the U.S. The 1777 Battle of Saratoga turned the Revolutionary War in favor of the American rebels by stopping the British from splitting the colonies apart. The battlefield is now a national historic site and hosts reenactments, tours, and other events. It also hosts some spectres and is among the most haunted battlefields in the east. Visitors to the park have reported hearing drums, shouts, and the sounds of weaponry in battle. The Wilkinson Trail provides a chilling walk in the woods and fields where you might run into a soldier who is still fighting for freedom. Visit the battlefield at 648 NY-32 in Stillwater. Perhaps the most haunted road in the US is a former quarry access that parallels part of the Meramec River near St. Louis in an area called Wildwood. The road (officially called Rock Hollow Trail) has been featured in many books and websites, including the classic Prairie Ghosts. Chilling ghost stories have included sightings of an old cabin with a scary ghost woman who screams at passersby, but the house can't be found again when you go looking for it, as well as the ghost of a man who was killed doing quarry work and still can't find his way home. The road is open to hikers during the day, but be very careful at night for reasons other than ghosts: you can incur a hefty fine for trespassing. Rivers are not often listed as haunted places, but leaving out the Hudson would be a paranormal mistake. The river is where First Peoples, Dutch, and English brought their stories and cultures to share as well as clash. One of the most famous haunts on the river is the Storm Ship of the Hudson. This Dutch ship appears before a storm when lightning and winds whip the river into a frenzy. To see the ship was to have terrible fortune - or worse. The ship still appears and is said to be listing crazily, yet steadily moving north on the river and without a crew. Whose ship it is remains a mystery, but it is a centuries old haunting. For years, the grand old Lincoln Square Theater provided visitors with many classic examples of paranormal activity, and The Haunted US called it America's Most Haunted Theater. Visitors observed ghostly footsteps, or felt the hair on their arms stand on end with the chill of mysterious encounters. The theater opened in 1916, built where a hotel had previously been. The Priest Hotel was built in 1860, experienced name changes over the next few decades, and burned to the ground in 1915. At least two people were killed in the fire. Unfortunately, the theater is permanently closed. Visiting haunted sites from Washington to New York can be good fun or intense investigation, but no matter what your style, ghosts will appear when and how they want. Keeping an open mind helps and knowing about the site will prepare you for things you may never experience again in this life.